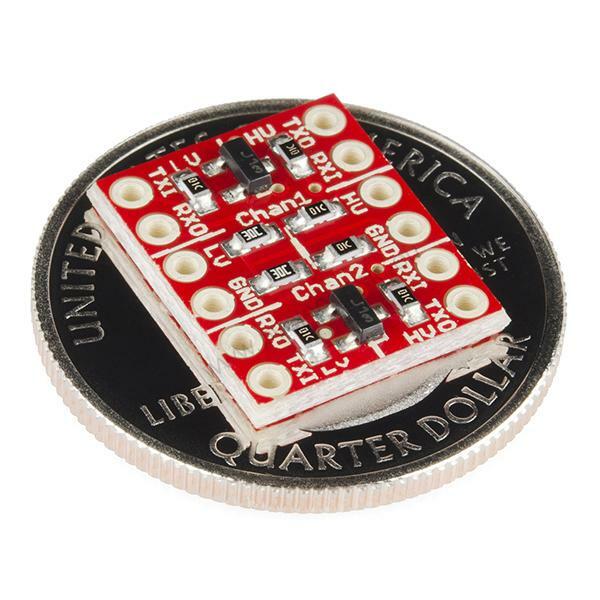 Description: If you've ever tried to connect a 3.3V device to a 5V system, you know what a challenge it can be. 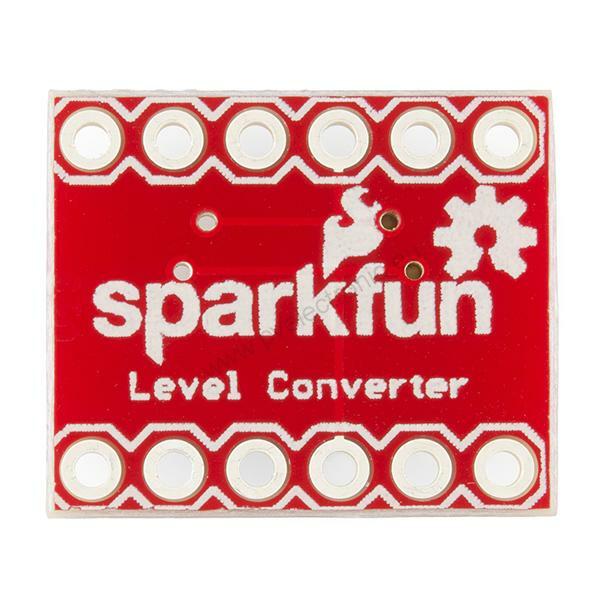 The SparkFun logic level converter is a small device that safely steps down either 5V signals to 3.3V or steps up 3.3V to 5V. 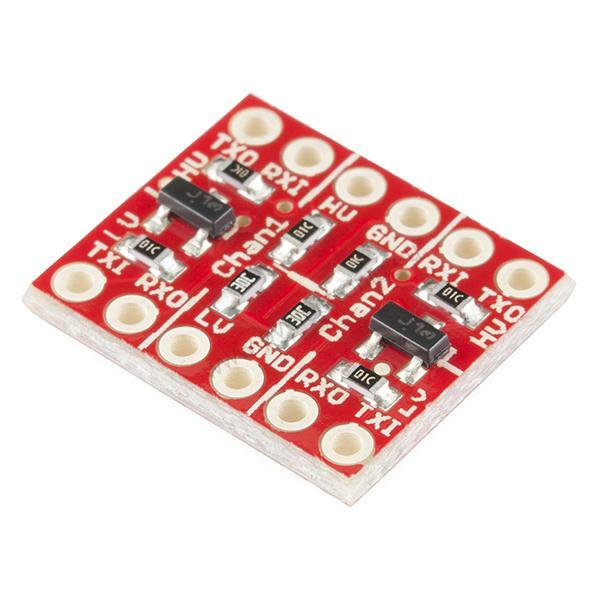 This level converter also works with 2.8V and 1.8V devices. Each level converter has the capability of converting 4 pins on the high side to 4 pins on the low side with two inputs and two outputs provided for each side. The level converter is very easy to use. The board needs to be powered from the two voltages sources (high voltage and low voltage) that your system is using. High voltage (5V for example) to the 'HV' pin, low voltage (2.8V for example) to 'LV', and ground from the system to the 'GND' pin. 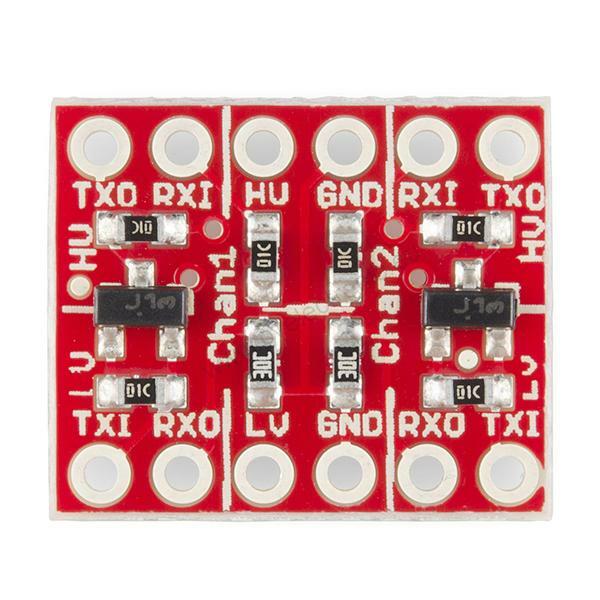 This revision of the Logic Level Converter fixes the issue with the board not stepping down from 5V to 3.3V correctly. Dimensions: 0.5x0.6"